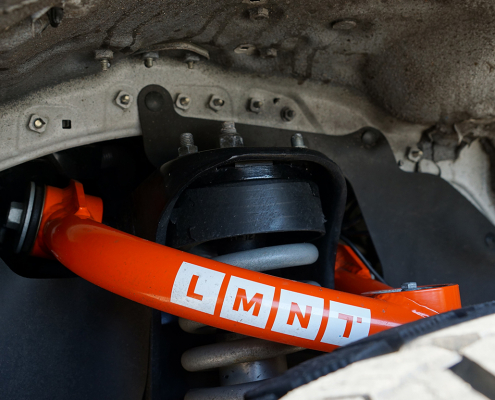 LMNT® has developed upper control arms that are upgrades for driver’s looking to increase vehicle height (more ground clearance), improve wheel articulation (better traction) and to fit larger tires. 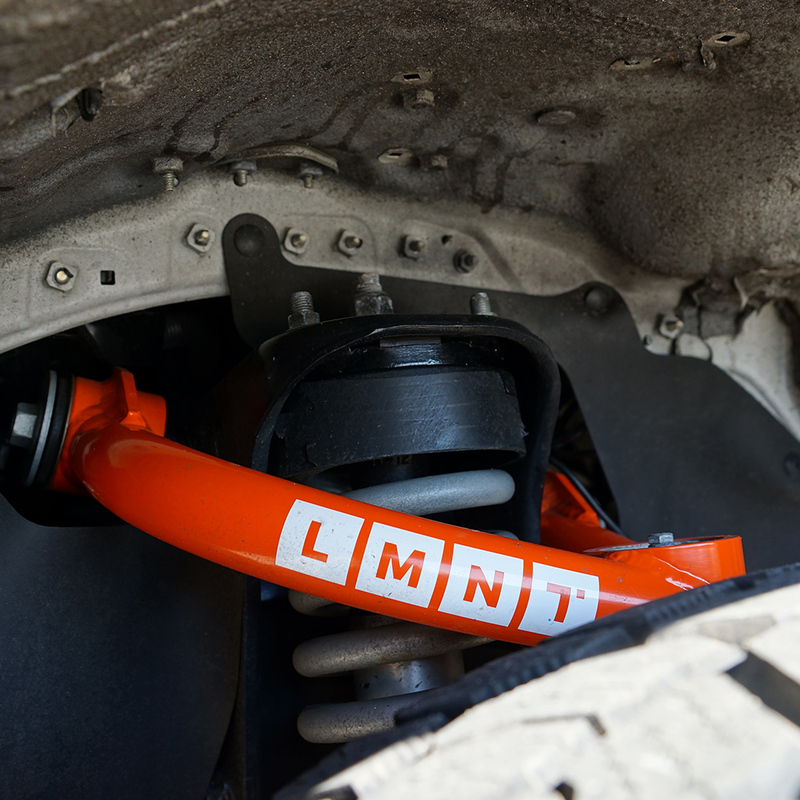 This is an essential modification for anyone serious about driving off road. 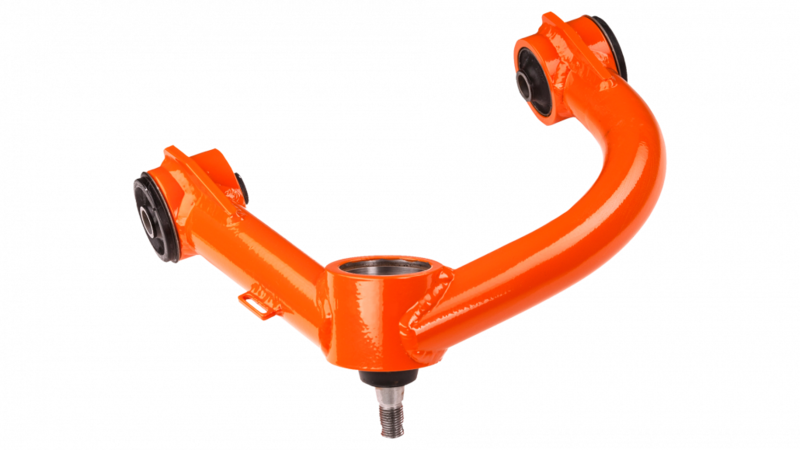 When the vehicle height is increased then the geometry of the entire front suspension assembly changes the angle of the factory upper (and lower) ball joint and also the front alignment (camber and caster). 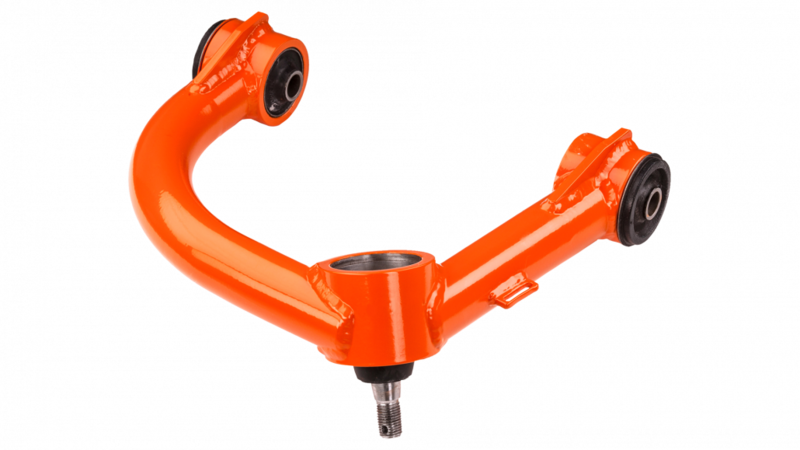 There is a limited adjustability in the OEM suspension. 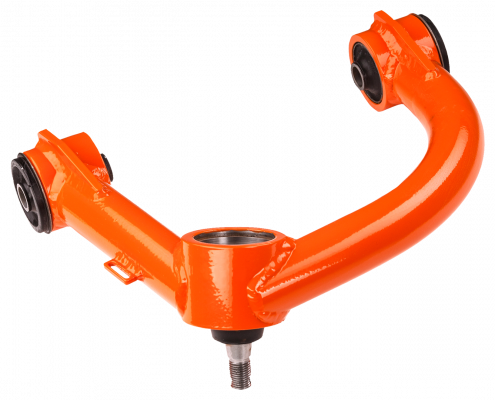 For lifts over 50 mm, the alignment tabs run out of adjustability before caster can be returned to OEM specification, resulting in “neutral” or “negative” caster. 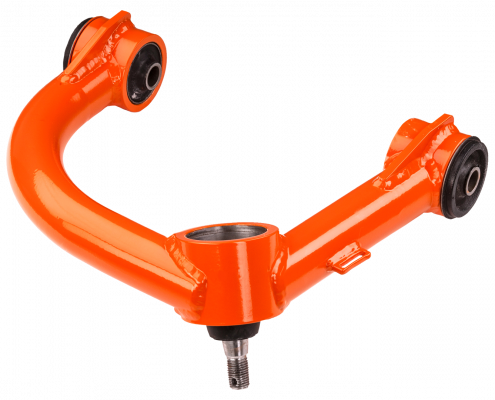 Neutral/negative caster will make the steering feel nervous on the road. Think about negative-caster wheels on a shopping cart (extreme example) and the way they dart around.